We Joined the Diocese of Chicago on September 1st, 2013. 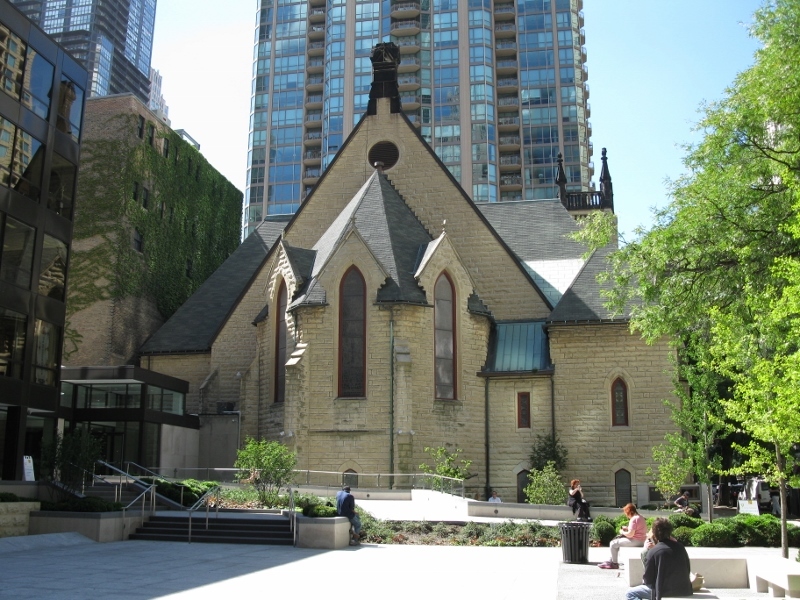 The former Diocese of Quincy and the Diocese of Chicago were formally reunited on September 1st, 2013, after unanimous votes in their respective conventions and approval from The Episcopal Church. 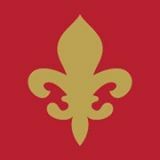 This Diocese includes over 40,000 members in the northern half of Illinois. 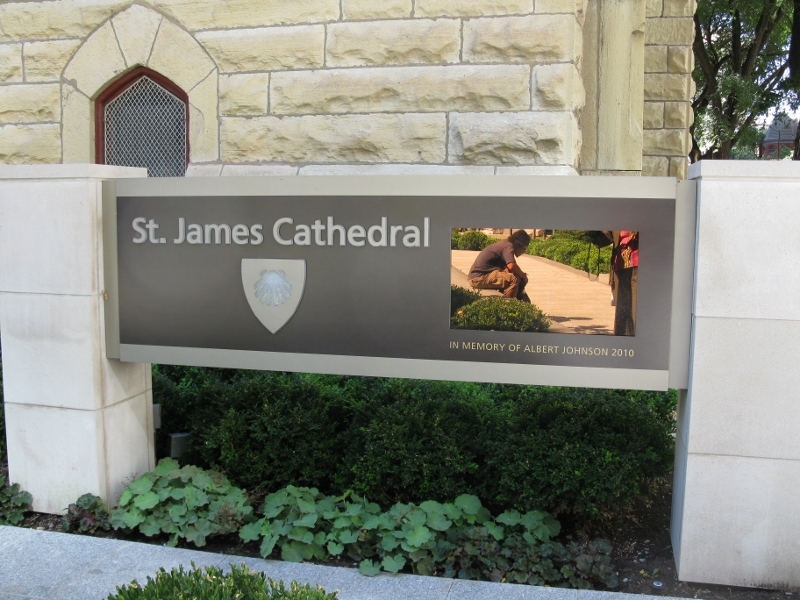 The Diocesan cathedral, St. James Cathedral, is located at 65 Huron Street in Chicago. 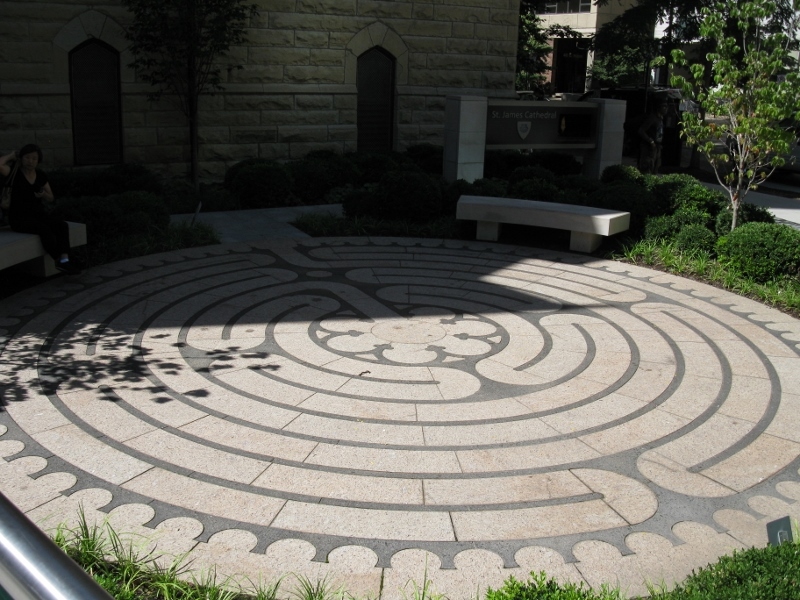 The land behind the cathedral was recently restructured into St. James Commons, which includes a park-like setting, a labyrinth and refurbished offices for the Diocese. Back view of St. James Cathedral with Commons in foreground. Picture to the right shows the sanctuary of the cathedral. Labyrinth just outside the cathedral. 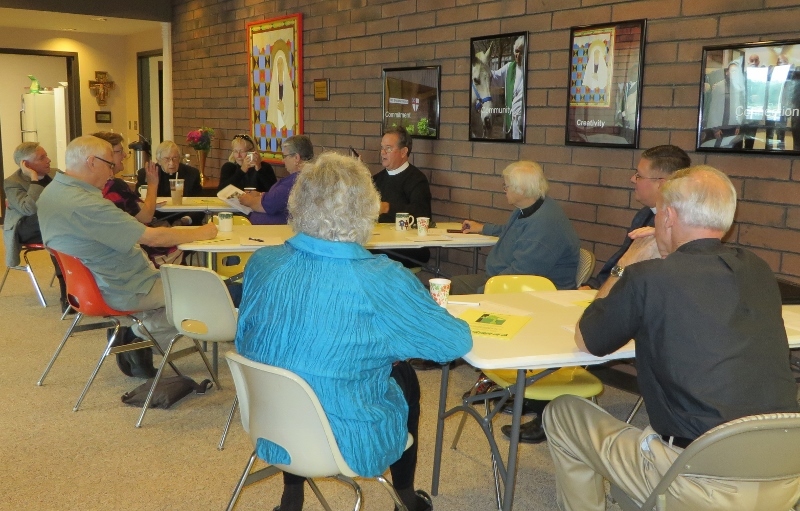 The Peoria Deanery of the Diocese of Chicago met at our facility on September 17th, 2014. The Peoria Deanery is comprised of missions and parishes of the former Episcopal Diocese of Quincy.